Subtitled "A Dare to Live Fully Where You Are", this new book by Ann Voskamp brought me to my face in adoration, grief, worship, gratefulness, pain. 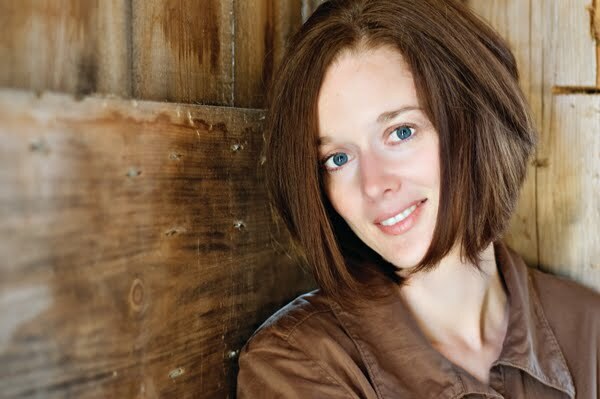 The author and her husband are farmers in the Mennonite countryside of southwestern Ontario. She home schools her six children and writes a daily blog as well as traveling for Compassion International as an advocate for the poor. But this no ordinary wife and mother. This is a poet extraordinaire. Her voice calls "from deep unto deep". Her story is so painful to read at times that I put the book down, weep, and plunge in again. I can't NOT read. Reaching for "something or Someone", grappling with unimaginable grief and loss, Ann chooses thanksgiving to enter into God's joy. She allows, even invites us, total strangers, to journey with her in her quest. Let me quote a little bit so that you can hear the cadence, taste the honey, touch the splintered roughness of her words, her life. Fear is like this piano wire cutting round the wrists, life shackled, cutting deep, and the hands spasm, fists of control. Fear keeps life small. The music dies and the joy drains. I've lived the strangle. What if I opened the clenched hands wide to receive all that is? A life that receives all of God in this moment? How do you do that when the terror tears up your throat and you wear the burn scars of a razed past? Despairing and desperate, she grasps at one last chance to truly live, to embrace life with all its grittiness and glory. A friend dares her to write down one thousand blessings, gifts, if you will, for which she can thank God. This book recounts the writing of the list, the stories behind the gifts. From soapsuds in the sunshine to the heart-wrenching death of a child, all is sacramental, holy, grace. At first I thought that we should have more of a focus on "women friendly" books in honor of Mother's Day, but then I realized that I am a woman and I am a big fan of Tim Downs. Besides, Mother's Day has come and gone. Mystery + forensic entomology + wit = great read. Rick is the pastoral consultant for our store and he is also an avid reader. I tell him only to review books for this blog that he really really likes. And he really really likes Tim Downs' books. This is the sixth in a series called "BUG MAN" -- about a forensic entomologist.... a scientist who specializes in the ways bugs interact with dead bodies. In spite of the grim circumstances of Nick Polchak's profession, this character is a hoot! His off hand humour and single minded approach makes for very entertaining reading. This sixth installment is no exception. It is funny, absorbing, engaging and insightful. The reader cannot help but chuckle as Nick stumbles toward marriage, while solving crimes. Although you get better character development if you read the books in order: Shoofly Pie, Chop Shop, First the Dead, Less Than Dead, Ends of the Earth, then Nick of Time, they are all very good if read independently.